Indulge yourself and join us in two of France’s most prestigious places, magical Paris and Epernay in Champagne. On this exciting tour experience the magical feeling of Christmas whilst enjoying fine French cuisine and excellent wine in two top quality gourmet restaurants. We start in Paris where the wonderful atmosphere of the Christmas markets, decorations and illuminations will be in full swing. We spend time in the city and to see the festivities at their very best we have included an evening cruise along the river Seine. From Paris we arrive in Epernay, capital of the Champagne region and home to the annual Champagne extravaganza. See the elegance of their annual ‘Habits de Lumiere’ and ‘Habits du Saveurs’ festivals and it is here we have the first of two gourmet meals. We eat in one of the very best restaurants in Epernay and include a selection of top quality wines. Leaving Epernay we make our way back towards Calais for an evening at the lovingly restored ‘Chateau de Cocove’. We have been granted permission to overnight within their grounds so we can enjoy an evening of food and wine in their gastronomic restaurant; from where at the end of the evening it is no more than just a few steps back to our motorhome beds. We meet at the well-appointed all year round Bois de Boulogne campsite in Paris. 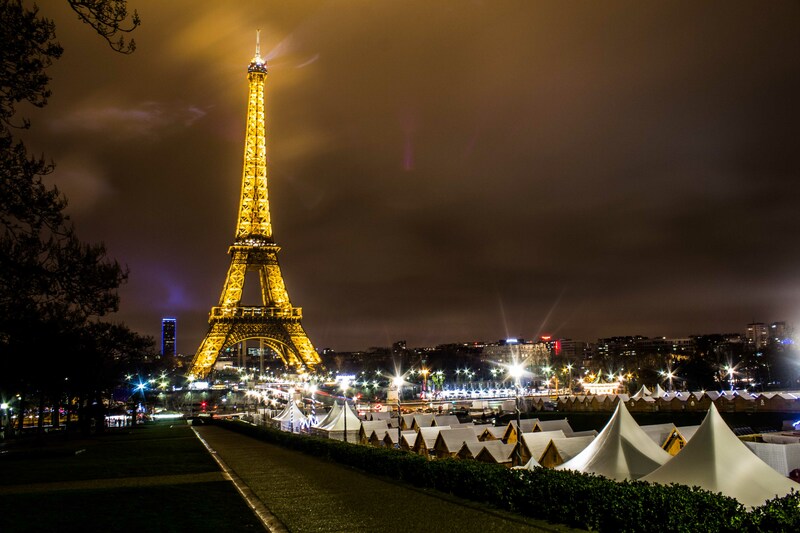 Located right in the heart of the 16th arrondissement our campsite is the ideal base for exploring this amazing city and the numerous Christmas festivities taking place. This evening we meet in the campsite bar/restaurant for a Welcome Reception with Buffet and your Tour Directors will provide you with some hints on how best to spend your time in Paris. Today you will have the opportunity to visit the most popular Christmas venues in the city (local transport included). With so many options you’ll be spoilt for choice, just one prospect is the Marché de Noël sur le Parvis de la Défense with over 350 decorated stalls to pass through. This evening we leave from our campsite by coach for a city tour and chance to wonder at the Christmas lights as we make our way to the River Seine for an evening cruise through the heart of the city. An opportunity today to visit the fabulous Village de Noël des Champs Élysées where you’ll find the avenue lined with over 400 Christmas trees (local transport again included). Amongst the traditional Christmas market traders selling gifts you’ll find pop-up restaurants serving oysters, champagne, bistro dishes and Bavarian beer. Also, take a ride on the Ferris wheel and gaze down at the amazing illuminated Place de la Concorde below. 1 x additional Campsite night with electric hook-up on Monday 4th December in France.